Adaptive learning and Teaching activities for Primary and Middle School. 4 practical ways and activities to improve writing skills. Improving writing skills to primary children is the biggest challenge for teachers. Especially the students who are learning English as a second language are getting much trouble to improve writing skills. Here I am discussing some practical tips and activities which I have been using in my classroom to my young learners. 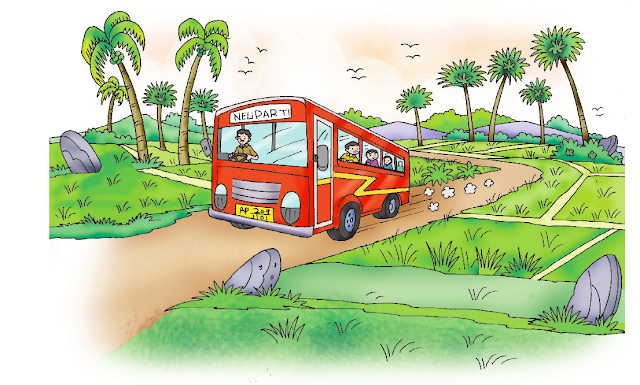 English Video Lesson and Transaction Method - "My Village"
This Animated Picture Video is designed to support and understand the reading part of the lesson given in the Andhra Pradesh Govt Primary Class-II English Textbook by me, and the theme of community helpers. Children watch the story, acquire the new vocabulary, understand the meaning of the new words, develop the reading skills, predict a story, retell the story and aware the importance of community helpers. The main objective of the video is to develop the reading skills of the primary class children especially to develop and create English environment in the class in terms to support the teachers to reduce the usage of the first language in the transaction of a lesson. Here I am describing the transaction of the lesson using this video and supplementary activities should follow to achieve the standards of the lesson. Activity: Watching a Short Film, Speaking, Reading and Creative thinking. Lesson: Mrs. Hen and Her Chickens (Rhyme) Skills Targetted: Listening, Speaking, Reading, Writing and Creative Expression. Class: 3rd. Subject: English. This is a simple and enjoyable rhyme in class III. Children enjoyed it while signing the rhyme. 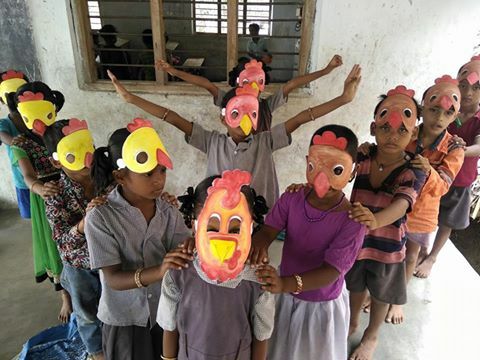 Masks gave a special effect to make the classroom vibrant . Later they were comprehend by a writing task. Writing Activity: Read, Colour and Complete the gaps. Lesson: KIDS TRAIN, Class: III Language Skills: Listening, Speaking, Reading and Creative Writing. Here comes the train Blowing Whistle toot toot toot...... ................................ ................................. Chuck chuck chuck. Once children choreographed the rhyme, asked them to identify the key glossary and gave stress to read and understand the meanings of the new words. After that, I asked few concept checking questions to check their understanding of the content. I am a primary school teacher and teacher trainer, have 9 years of experience in teaching English as a second language to the primary students. I have presented a paper in ELTAI, and participated in TEC-2015 conferences. I have also been member of the item-building panel for summative assessment. 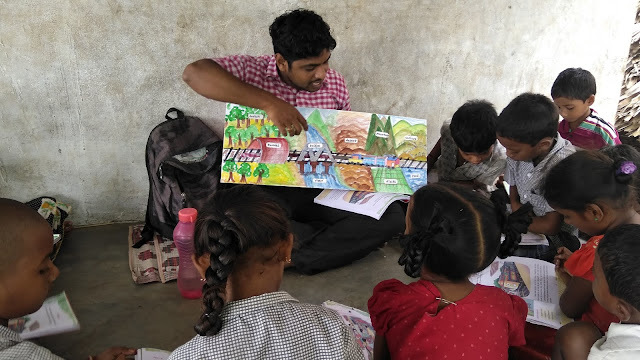 Besides, many of my teaching activities have published by the British Council, American Council and Central Square Foundation, and am currently teaching in Vizianagaram.